Raclette cheese originated in Switzerland’s majestic southwestern Alpine canton of Valais, where locally made cheese has been documented as far back as the 4th century. Cheese melting was practiced in Valais hundreds of years before 1874, when this famous cheese officially became known as Raclette (a name derived from the local French dialect verb “racler” meaning “to scrape”). Early Alpine farmers and shepherds would set a large cut of this semi-firm cheese by a campsite fire or home hearth and when outer layers melted, the delightfully warm and creamy paste would be scraped by wooden spoon onto bread, or the famous potato and pickle dish also called Raclette. Raclette’s ancient recipe, cheese-making methods, and its famed melting preparation have been passed down through the generations. Today this cherished part of Alpine culture has evolved into one of the world’s most convivial cheese-eating traditions. Application: Raclette is a perfect melting cheese that goes with nearly anything, and has limitless culinary applications. Standout pairings are with potatoes, onions, both pickled and fresh vegetables, and cooked or cured meats. 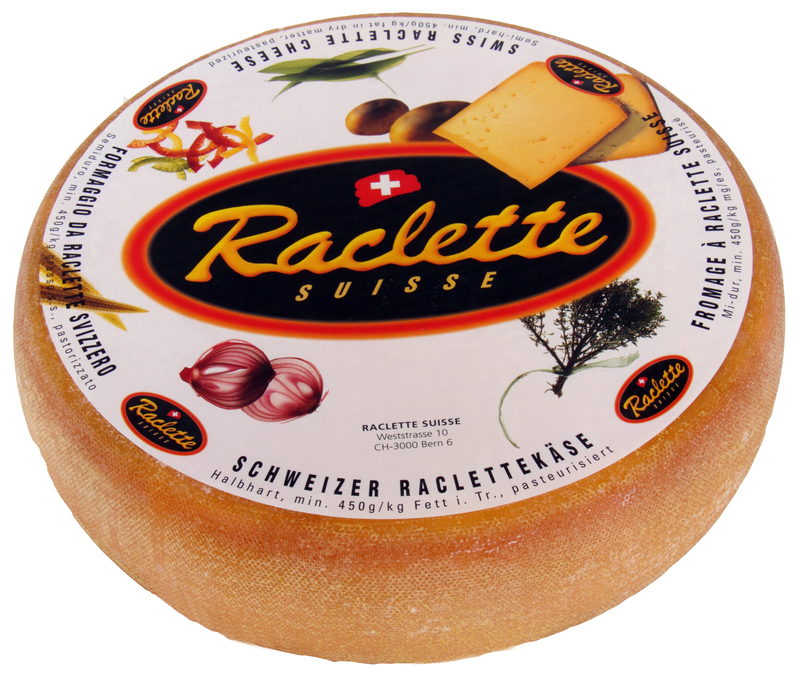 Raclette makes excellent fondue, grilled cheese sandwiches and French onion soup but is also a great table cheese. Raclette may be thought of first for more wintery fare, but Raclette’s versatility makes it an incredible all-year round cheese. Raclette cheese is the centerpiece of Raclette parties, where hosts provide specialized tabletop grills with small pans for guests to heat cheese slices over their individual choices of meats and vegetables. Pairing: A chilled white wine like a dry Chenin Blanc or a German Riesling is ideal. For a red wine, a French Pinot Noir will add a dimension of fruit flavor that complements the savory aspects of Raclette. 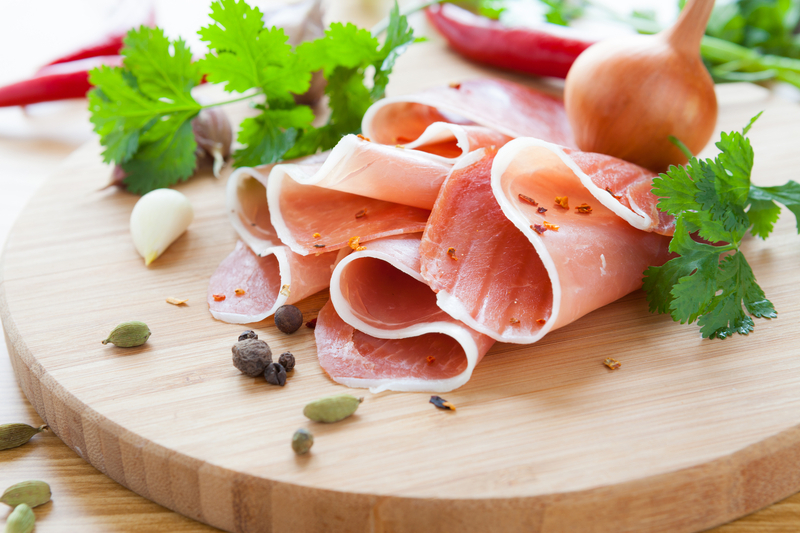 Lean and succulent, our 99% Fat Free Ham is ideal for the health conscious consumer looking to cut out calories but never sacrifice on flavor. Immensely popular for cooking, baking and for entertaining, each slice is made from high-quality fresh pork. Canadian Ham is cured to perfection and packaged in water to seal in the fresh flavor. Try it with a brown sugar and molasses as a sweet delicious glaze, or combine the ham in a crockpot with fresh vegetables for a quick and easy weeknight meal. Application: No deli tray is complete until there are perfect rolls of sweet ham aligned next to slices of savory cheese, crisp celery and fresh apples for a complete and balanced lunch.